For anyone running their own business, it’s no secret that managing employees can be challenging. You want to ensure that they are working to the best of their ability, but you also don’t want to be constantly breathing down their necks. This is why most businesses engage in employee reviews as a means of exploring the areas that staff are excelling in, as well as the areas where they could potentially improve. However, a growing number of businesses are choosing not to acknowledge employee weaknesses and are instead focussing purely on their strengths. This is a view expressed in one particular think-piece, published in The Multiplier Effect, which estimates that ignoring weaknesses and focussing on strengths could increase employee engagement by up to 73%. This is a big claim, and one which requires further examination. We’re going to explore the reasons why you shouldn’t necessarily abandon constructive criticism in your performance reviews. On paper, focusing solely on your employee’s strengths sounds like a simple enough task, but the reality is much more complicated. 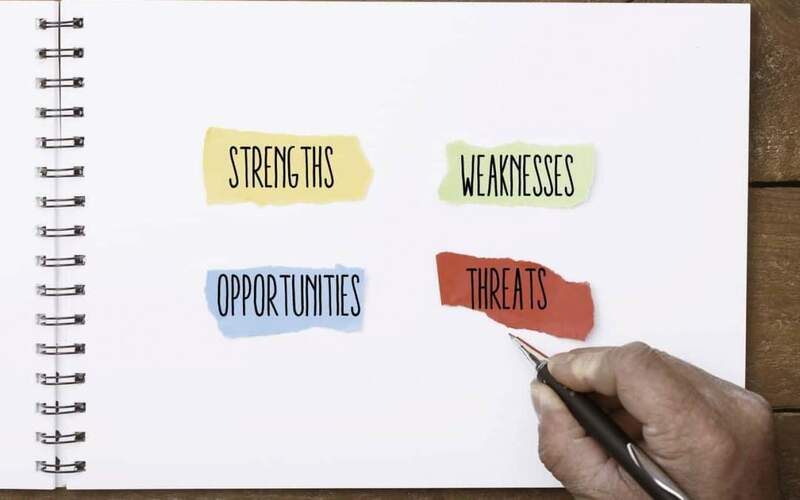 Strengths and weaknesses in the workplace aren’t so clearly defined — there are bound to be strengths within your staff’s weaknesses and weaknesses within their strengths. If you have a staff member who is great at research, for example, but requires help with their turn of phrase, then these aren’t factors which can be easily separated. Finding it difficult to put their research into a written document can easily impact on the quality of their work overall, meaning this weaker area must be addressed. Seeing strengths and weaknesses as components of the same whole, rather than as separate entities, provides employees with a more realistic vision of their work and future goals. Being exceptionally good at one thing doesn’t necessarily make for the best employees. It’s practically impossible to delegate a task which only requires one skill, meaning staff who aren’t able to excel in more than one area will probably struggle in almost all aspects of their working life. Let’s take the role of graphic designer as an example. Being a graphic designer requires a lot more than simply creating attractive designs. You need to be able to get to know brands effectively to ensure your creations fit with their USP, meaning research skills are vital. You need to have an understanding of how your pieces will be used so you can tailor them accordingly, meaning an impressive knowledge of social media and marketing is a useful tool. Tackling weaknesses isn’t just about helping employees step out of their comfort zone. It’s about helping them fulfil their role successfully. In a larger business, having staff resigned to one specific role could be possible. In smaller businesses however, it’s surely impossible. Small businesses have fewer heads and hands for completing the necessary workload, meaning — in an ideal world – everyone should be willing to try their hand at things which aren’t necessarily their area of expertise. Ignoring the weaknesses of your employees gives the impression that these weaknesses are a bad thing. By addressing them, you acknowledge them not as a negative factor, but as an area full of possibility. Addressing a weakness with your employees gives you the chance to work together to make it a strength. What do you think? Should businesses shift their focus onto more positive things, or are weaknesses just as important as strengths when it comes to building a skillset? If you’re hoping 2019 is the year you get your business idea up and running, then allow TEDCO Business Support to help you along the way. Check out some of our success stories and discover what we can do for you by calling 0191 516 61 02 or emailing enquire@tedco.org.